On June 21, GIFT held its Stewards General Meeting in Washington DC in which participants got updates from the network members, discussed the main features of the activities of the first semester of 2016 and were informed on progress on the public participation guide. The Stewards Meeting hosted the Fiscal Openness Working Group-workshop on fiscal transparency commitments of OGP National Action Plans in which ten ministries of finance (and the city of Buenos Aires) and civil society organizations representatives discussed fiscal transparency actions for the period 2016-18 (reported in GIFT Newsletter 5, 2016). 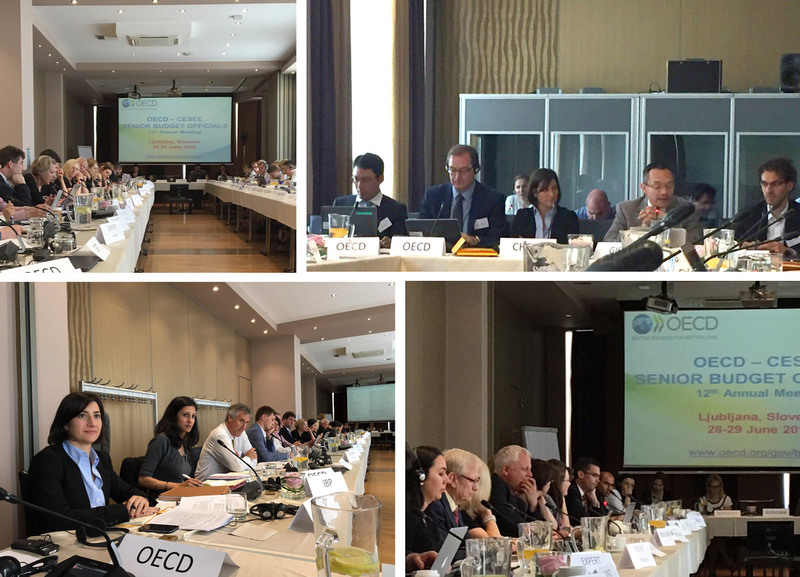 On June 28-29, the OECD Senior Budget Officials and the Fiscal Openness Working Group held in Ljubljana, Slovenia, for the first time, meetings in joint session. It was a excellent opportunity for the community of budget practitioners, as represented by the OECD and PEMPAL delegates, to exchange views directly with the community of budget transparency practitioners, experts and advocates, as represented under the umbrella of the FOWG of the Open Government Partnership, led by GIFT. The sessions allowed for a series of dialogues on how to improve budget transparency in light of country-specific challenges. Thus, discussions resulted in a high-level overview of the current issues and priorities facing the region, and the global community, in advancing fiscal transparency and understanding how transparency has evolved, highlighting the tools and instruments that can help in shaping an open, inclusive budget process. An important component of the meeting was the presentation of the GIFT Public Participation Principles. Public participation was presented as an important new horizon in budgeting, and the Principles as a tool aimed at facilitating a structured, meaningful process of engagement between the executive and civil society. A practical discussion about what these principles should mean in practice also took place. The SBO network is one of the oldest and most successful of the OECD’s various networks. It is a group of high level officials that focus on technical issues from a practical approach based on empirical evidence. It has been credited by a number of countries as having been influential as a source of ideas and advice leading to Public Finance Management reforms. GIFT looks forward to further engage with SBO meetings, especially when the discussion points are related to transparency, accountability and public participation, as part of the OECD work on trust in government. Grazielle David, with GIFT’s Steward INESC, talks about the “Thematic budget”, a winning project of the Open Call for Best Practices of Fiscal Transparency to End Poverty. 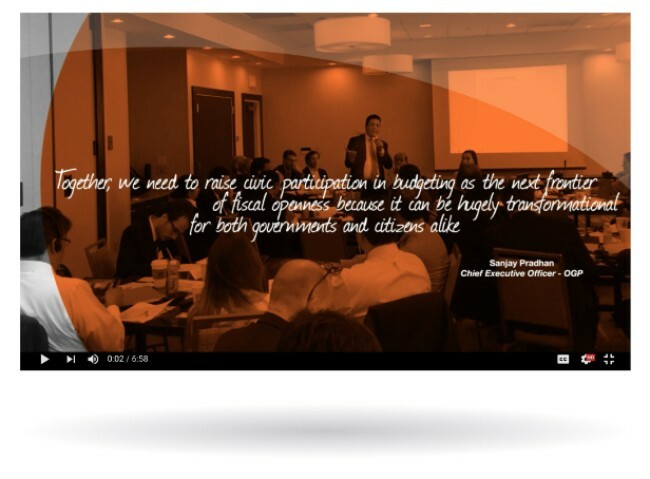 Watch a summary video of the Fiscal transparency commitments in OGP’s National Action Plans Workshop, held in Washington D.C. on June 20-21. 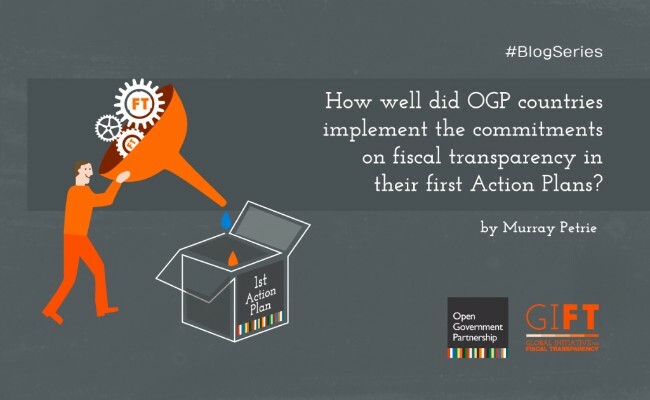 Read our new blog “How well did OGP countries implement the commitments on fiscal transparency in their first Action Plans?” by Murray Petrie. This post is the third in a short series that GIFT is running to provide ideas for countries preparing their next Action Plans. The first two blogs looked at what steps countries should take to increase fiscal transparency in their next Action Plans; and how transparent and participatory budgets and budget processes are currently in OGP countries. The posts draw on a series of GIFT papers, ‘Fiscal Transparency in Open Government Partnership Countries, and the Implementation of OGP Commitments: An Analysis’, prepared for successive meetings of the OGP-Fiscal Openness Working Group, and on GIFT case studies of public participation in fiscal policy. Croacia’s Institute of Public Finance published here the English version of the results of the new round of the Croatian local budget transparency, measured by the number of key budget documents published on their respective official websites in the period November 2015-March 2016. The five key documents include: the 2014 year-end report, the 2015 mid-year report, as well as the 2016 budget proposal, enacted budget and citizens budget.